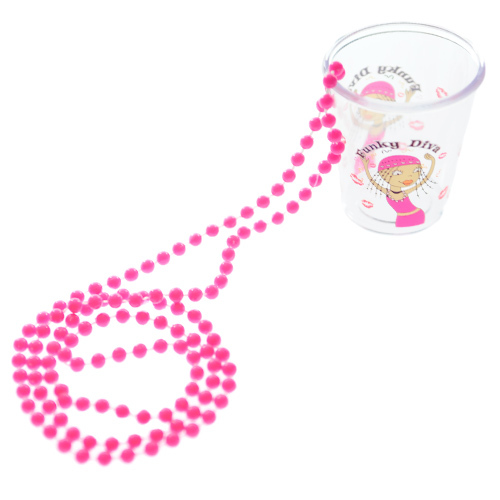 These quality hen night shot glasses are a real hit when it comes to a night on the town. 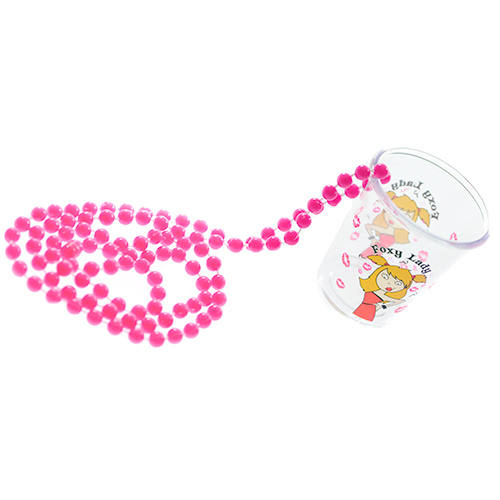 The sturdy design and pink beaded necklace make them a great addition to any hen night costume. Tackle your Tequila or Sambuca in style with an excellent custom made shot glass. Why would you want to drink from plain old glasses like everyone else in the bar when you can have your very own version specific to you? 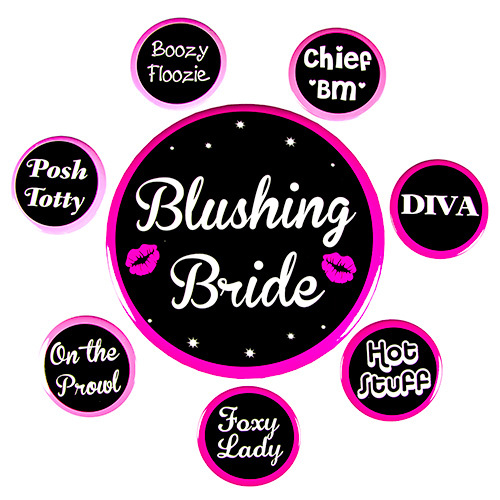 These are a great laugh for any group and you can combine this with some of the other designs available and have a full collection. "These were good - nice little giveaways for everyone. Just about worth the price." "Ideal for what we needed and great that they come in different designs"
"Love these there are 7 of us going on holiday and we managed to get a bride to be then 6 different shot glasses which match everyone’s personality plus it means everyone knows which one is theirs." 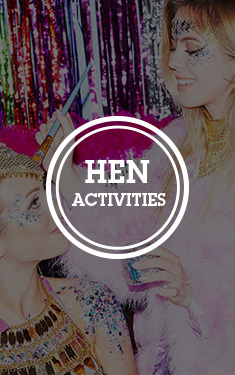 "The rest of the hen really loved them even though some got broke"
"very pleased with the quality for the price"
"good size and served there intended purpose"
"the beads broke a couple of times so was not overly impressed with this"
"cute and sweet and fun." "Everyone thought these were brill "
"The girls really liked these, but some had the odd black or mis-shapen bead." 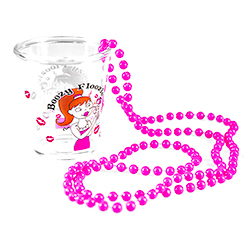 "A bit tacky and proved tricky to drink from as the shot went through the hole the necklace goes through..."